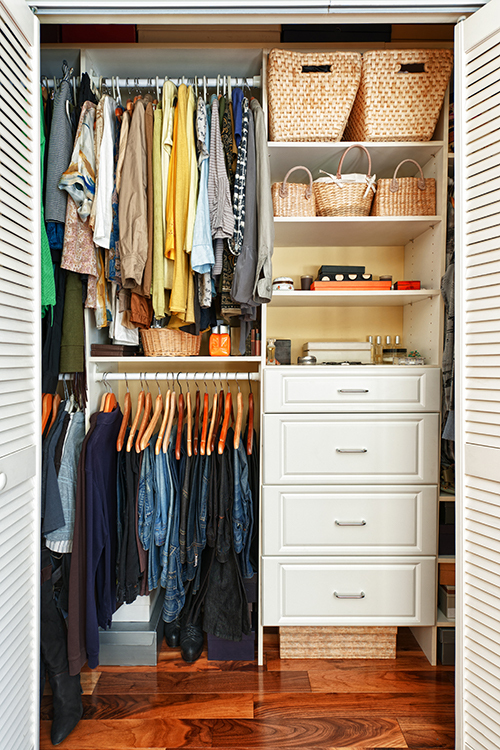 Do you ever open your wardrobe in the morning and feel like you have absolutely nothing to wear, even though it is full to the brim with clothes? I would like to help you build up a coordinated wardrobe that will make it easy for you to look your best in all situations, at work and privately. We tend to buy a lot of clothes, but why do we not buy the right clothes? We come across something in a shop and think “That’s nice, I’ll buy it”. But just because it looks nice, it might not be the right style for you. Maybe the dress fts well but is the wrong colour. We’re all diferent, so it is only natural that the same piece will look diferent on each one of us. You can usually get a sense of this yourself. You have your favourite pieces but you’re not really sure why you feel better in some than others! There is an explanation for this. We all have a personal style and colour palate depending on our own personal attributes. There are easy tools to help us fnd our way in the fashion jungle. Dressing well does not necessarily mean dressing in expensive clothes. It doesn’t cost anything extra to choose a model and a colour that ft and enhance our personal colour palate and shape. Your style and your clothes are part of your personal brand. A style and colour consultation, wardrobe clearing, planning and personal shopping can help you create a coordinated wardrobe where all clothes ft together in accordance with your lifestyle and your needs. You will save time and money in the long run, and will feel well-dressed in all situations. For more information contact Pia directly on pia@imagefocus.se eller or mobile number 0046 70 289 13 33.